Sony has treated us to the Xperia XZ2, the Xperia XZ2 Premium and the Xperia XZ3 during 2018, but it already has eyes on 2019 – and in particular on launching a 5G Xperia phone at some point during next year, taking full advantage of the next-gen cellular connectivity. Never mind that 5G networks are still in their infancy, because Sony wants its future phones to be future-proofed, and that means getting a handset with the requisite technology out into the wild. Here's what we know about the 5G Xperia phone up to now. We know a 5G Xperia phone is coming, because Sony has all but confirmed it. That's about all we can tell you for sure at the moment though, so for the rest of the details we're relying on rumour, speculation and some educated guesswork until launch day rolls around. If Sony were to follow form it would call the phone the XZ4, but it might go for XZ5 in honour of that 5G tech. Another tidbit from the rumour mill suggests Sony wants to get this handset out of the door as early as possible next year, perhaps to steal the thunder of the Samsung Galaxy S10 arriving at the end of February. Sony might launch its handset at the very same show as Samsung – Mobile World Congress in Barcelona. 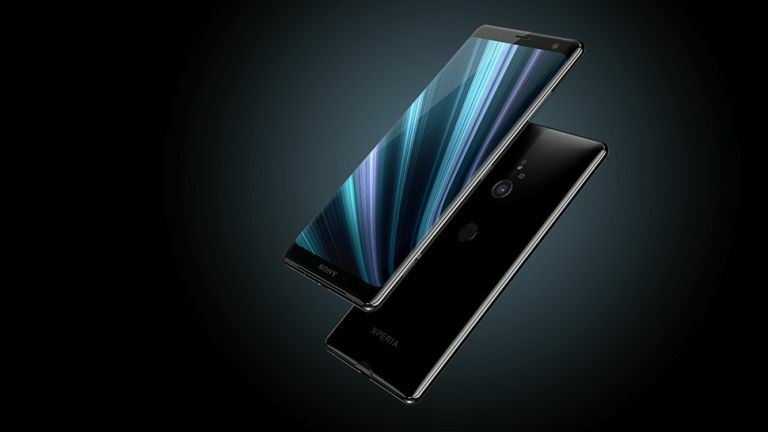 As for pricing, with the recently unveiled Sony Xperia XZ3 coming in at £699 in the UK and the Sony Xperia XZ2 retailing for $799 in the US, we reckon those are the sort of levels Sony will try and hit again – not exactly cheap, but not quite on the level of your Samsung Note 9 or your iPhone XS Max phones. We don't have many hints yet on what the Sony 5G Xperia phone for 2019 is going to look like, but with each successive release in 2018, Sony has slowly but surely been inching towards a more modern design for its mobile handsets. Word on the Sony street is that the tech giant knows its falling behind its rivals when it comes to smartphones, and that should mean the 5G Xperia phone ends up being quite the looker when it makes an appearance next year. Think thin bezels, a slim chassis, the works... maybe even a notch? Sony has avoided releasing huge phones in the past (the screen on the Sony Xperia XZ3 is 6 inches corner to corner), and we'd expect that to continue next year as well – it's unlikely that we're going to see something with the dimensions of the biggest Samsung and Apple phones from Sony for a while. It's still early days to be predicting the specs that will be sitting inside the Sony 5G Xperia phone, but the components of this year's XZ3 flagship are probably a good baseline: a Snapdragon 845 processor, 4GB or 6GB of RAM, and 64GB of internal storage. Of course the headline feature will be 5G calling and data transfer. Basically – as you've probably guessed – 5G is going to be a lot faster than 4G and will be able to carry more data at once. We're talking roughly ten times the speed of 4G, and the opportunity for many more devices (like self-driving cars) to be constantly connected. Sony being Sony, we're expecting a lot from the camera system too: brace yourself for something like a 48-megapixel rear camera. Like Google, Sony has been reluctant to make the jump into the world of dual-lens rear cameras (the XZ2 Premium has a dual-lens camera but the XZ3 sticks with a single), so that might be another treat for 2019. Speaking of phone features for the Sony 5G Xperia, did we mention the 5G? One of the added benefits of the next-gen tech should be longer battery life thanks to more efficient use of power. Who knows, you might even get more than a day's use out of whatever phone Sony launches in 2019. We should see wireless charging and full waterproofing from the 5G Xperia phone, in line with the previous handsets Sony has brought out, and it's also likely that the device will come with Android 9 Pie on board – just like the Sony Xperia XZ3. In short, it should be the best smartphone Sony has ever produced, with all the benefits that 5G brings – setting the standard for the phones of 2019. As February approaches, stay tuned for more unofficial leaks and rumours to hit the web, which we'll of course add to our collection here.